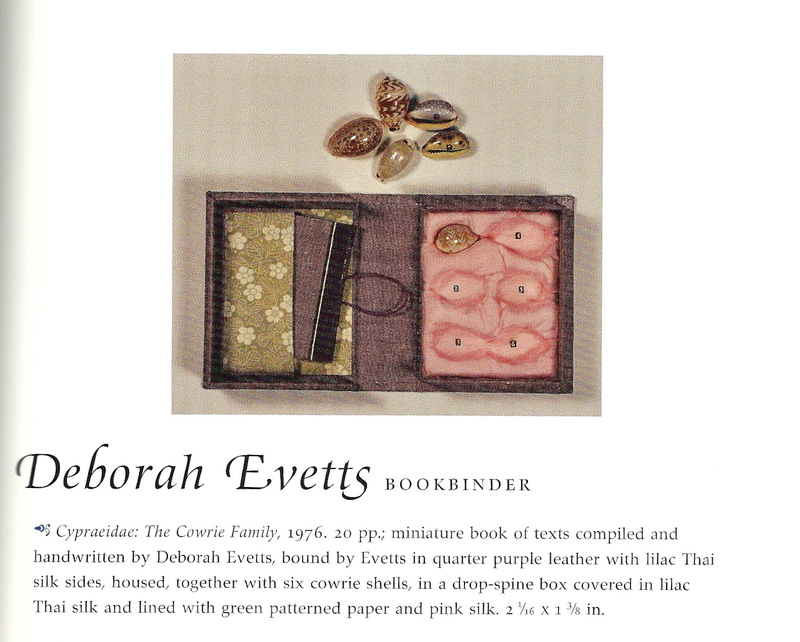 For weeks I have been contemplating a post on Deborah Evetts, but Susan Mills beat me to it with a Bookbinding Now podcast interview just this week. 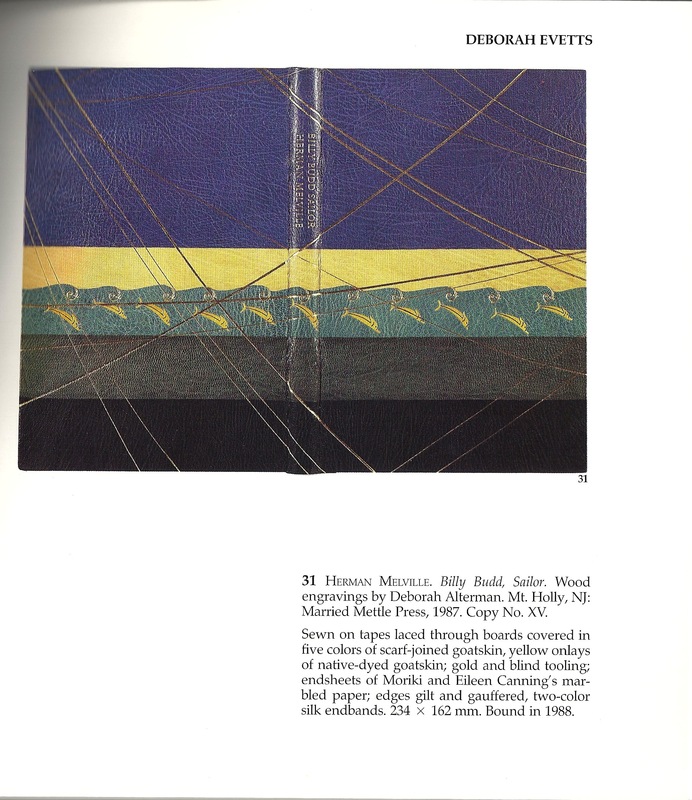 I had been thinking about Deborah Evetts and had been scanning her bindings published in books and catalogs I own. The impetus was Hannah Brown‘s upcoming visit to New York City. I offered to give her a personalized, idiosyncratic tour of the city, the highlight being a visit to the reading room at The Morgan Library. You can’t just waltz into the reading room at The Morgan. First you have to apply to be an approved researcher. I am one already, but you can’t bring guests. Hannah had to fill out a application form online. I know the head of readers’ services, John Vincler, so we corresponded about the research Hannah and I intended to do. While we awaited approval for Hannah (John does not vet potential researchers; someone else does that), I used the tricks John gave me to scour the vast bindings collection at The Morgan. One has to submit a list of books to be pulled several days, preferably a week, in advance. The reason is that, not only do the books have to be located and brought to the reading room, but also bindings are on “high reserve for binding study only.” We had to wait for my selections to be approved. 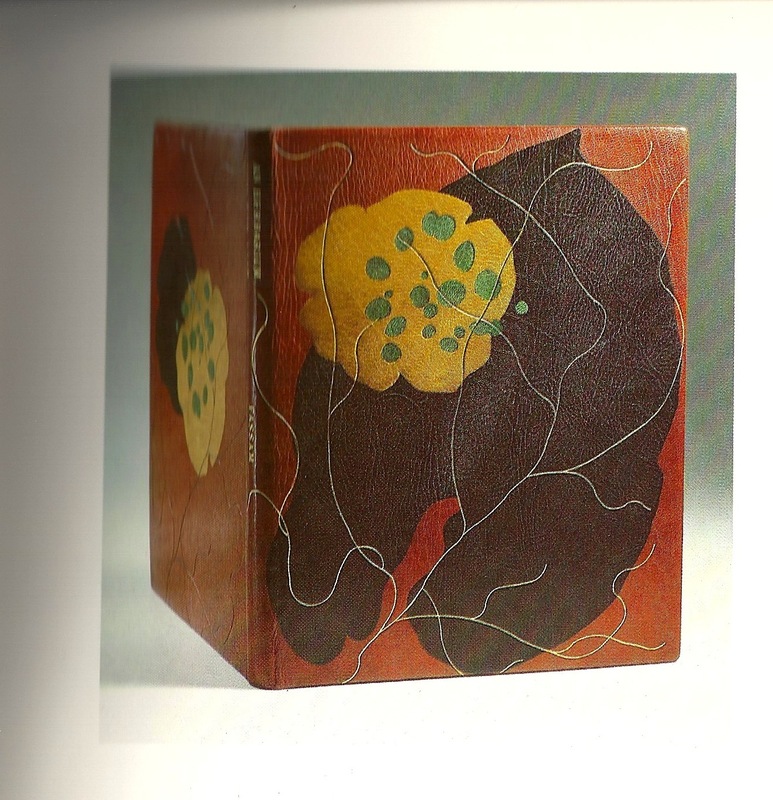 The plan was two-fold: find as many bindings as possible incorporating embroidered leather, Hannah’s specialty; and examine as many Deborah Evetts design bindings as possible. CORSAIR, The Morgan Library’s online catalog, is incredibly powerful and their catalogers are really good. However, since Deborah Evetts was the conservator at The Morgan for decades, when I did a general search for her name I got over 2000 hits. That’s because the catalogers are so good. 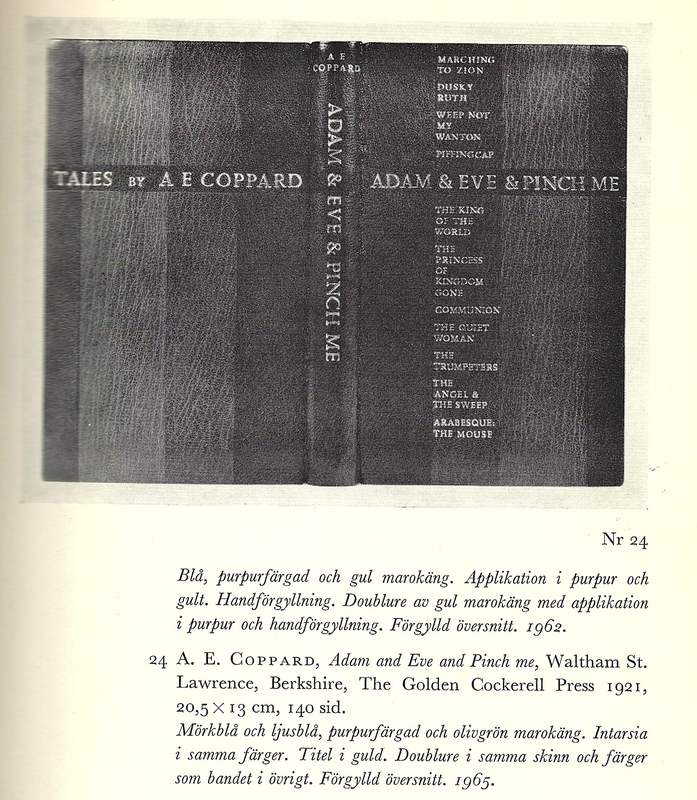 The vast majority of the hits were because Deborah had made a conservation binding, repair, or enclosure for the book, a fact recorded in the correct field in the book record. Over 2000 mentions in The Morgan Library catalog. That is a monument to Deborah’s contribution to the field. Binders and conservators: if you work in-house at a library or museum, is your work logged? I followed John’s advice (once again, always ask the librarian). 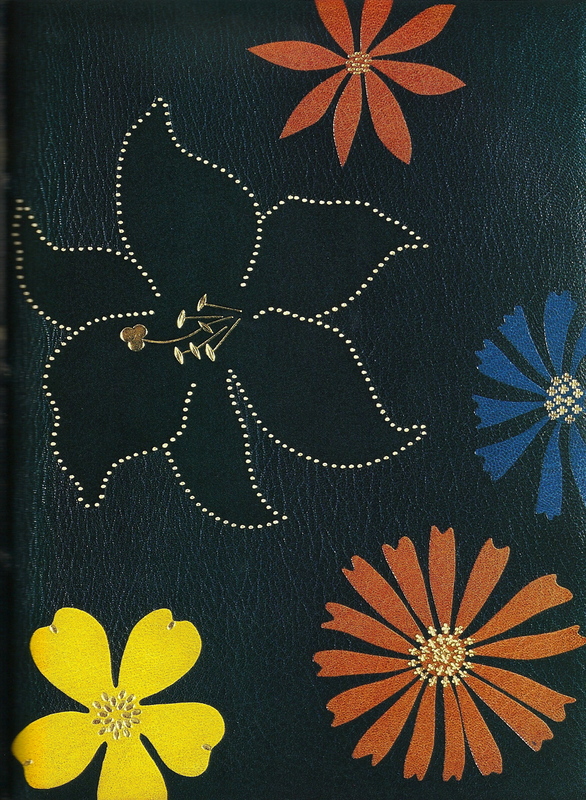 Hours of strategic searching of the catalog resulted in only 3 bindings that may or may not have embroidery on leather. The catalog descriptions of bindings are precise in library terms, but not quite as specific as I needed. Keep in mind that library cataloging standards and practices have changed drastically over the last couple of decades, let alone oddities resulting from retrospective conversion of card catalog records to digital records. I requested the 3 most likely candidates. But how was I to extract any of Deborah’s design bindings out of the over 2000 records that bear her name in one field or another? It wasn’t easy, but I picked five. I submitted those requests. Hannah and our books were approved and seats were reserved for us. Awesome! I got together with Hannah and her husband, George, on Tuesday. Classic NY diner lunch. Lots of fun chit-chat about books, their trip, what they had done and seen so far in NYC, and plans for the rest of the week. I gave George my admission card for The Metropolitan Museum of Art, and off Hannah and I went to The Morgan. Here’s where I goofed: I thought the reading room was open until 5. We got the the Morgan at nearly 3:30. After checking in at the security desk, confirming our appointment, receiving ID badges, passing through two locked doors, being escorted by a security guard to the elevator where a key was used to allow us up to the reading room, being buzzed into the reading room foyer, locking up all of our belongings, washing our hands as instructed, and being buzzed into the reading room itself, we were informed that the reading room was to close in 20 minutes. Ooops. Fortunately, John took a look at the embroidered leather bindings in advance, and immediately handed us the one he knew we would want to spend the most time with. It was a gorgeous thing. It was a Book of Common Prayer (1716) bound with the Psalms (1718), both printed by John Baskett of Oxford. I got that info from the library catalog; books for binding study may not be opened wide enough to actually read the title page. I’d guess that the binding was contemporary to the time of publication. The leather was burgundy and most likely goatskin. 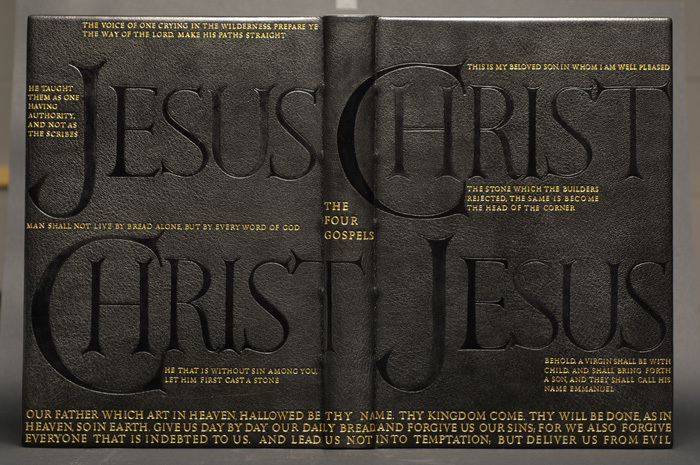 The entire binding, front board, spine, and lower board, was covered in silver thread embroidery. The leather must have been pared quite thick to handle so many needle holes, so close together, and not fall apart or tear. We took pictures, but you’ll have to use your imaginations. I am not allowed to post the images on my blog. That left us with about 10 minutes to look at 7 more bindings. Not nearly enough time. I think I especially liked Deborah’s Black Sun Alice in Wonderland, but I didn’t really get a good look. No time, even though John was nice and let us stay until nearly 10 past 4. It turns out that he is a bit of a binding geek, too. Engelska bokband. 1966 exhibit in Sweden. Bound in full black Morocco; top edge gilt and gauffered with fore edge and tail trimmed deckle; décor onlaid with black calf and decorated with gold tooled lettering. 35 x 24 x 4.5 centimeters. Created 1982. 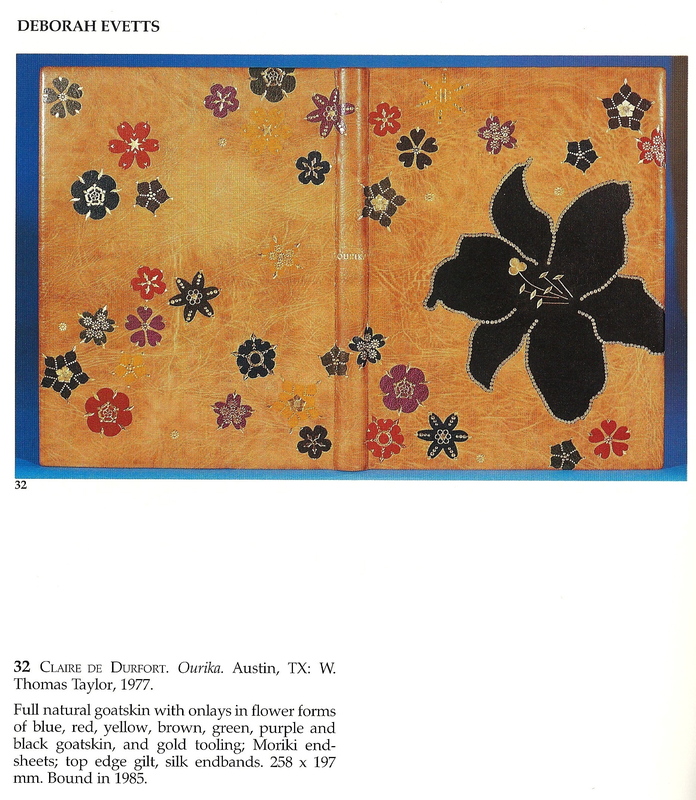 The Grolier Club Creates: Book Arts by Club Members, 2009.